discusses the company’s mission and the strength of its career transformation community. You’ll be hosting your 12th conference this October. Tell us more about your program. Johanna holds an MBA from the Graduate School of Business at Stanford University, a BS in Applied Mathematics from Yale University, and a Certificate in Small Business Management from New York University’s Stern School of Business. Johanna was born and raised in New York City and is also a proud graduate of Hunter College High School. Brand Management at Frito-Lay in Dallas, TX. She has served on numerous Boards including M&G Piel Securities, Illumai, Western Ballet, The Junior League of Palo Alto • Mid Peninsula, and Lyceum of Santa Clara County. Johanna is a founding Council member of Yale Women: a Global Network of Yale Alumnae and the immediate past President of the Yale Club of Silicon Valley. She also serves as a contributing writer at the Huffington Post. 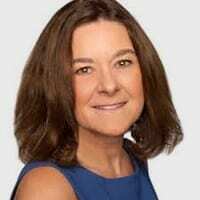 Johanna curates and hosts highly successful conferences including Find Work You Love Conferences and Summits, The Workforce Diversity Summit™ at Microsoft, and local and national celebrations of 40 Years of Women at Yale. 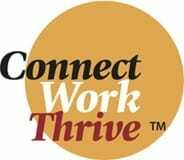 After a career sabbatical to raise two children, Johanna founded two companies in addition to Connect•Work•Thrive™ LLC: Keep Me Tax Free™ LLC, which secures tax-exempt status for non-profit organizations and Wise Consulting, a boutique firm which provides strategic planning, operations, marketing, and financial expertise to growing businesses.